The welfare and health of the new born depends on the health and well-being of the mother. The mother and child death rate in Andhra Pradesh is high, especially in the rural areas. But state government is all set to put a stopper to this issue with the implementation of Bala Sanjeevani Scheme. It will provide good quality food to pregnant women and small children for free. The state will take the assistance of Anganwadi Centers for distribution of the food. 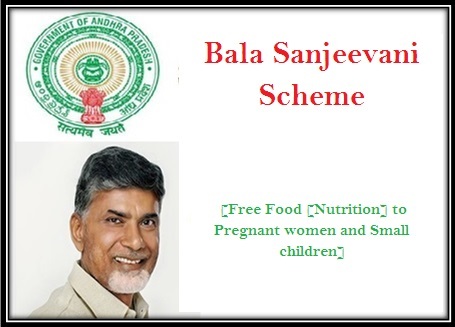 Ensuring health of pregnant women and children – Under this scheme, both pregnant women and young children will receive free and high quality food. This will boost mother as well as child health. Averting child mortality – Malnourished children fail to live long. This increases child mortality. With the implementation of this scheme, state will ensure that young children get enough strength to fight diseases with proper food and nutrition. Reducing instances of malnutrition – As the state will offer free high quality food to pregnant women as well as children, there will be significant reduction in the number of malnutrition cases. Eliminating birth defects – If pregnant women don’t receive adequate nutrition, then chances are high that the child will be born with birth defects. It can be eliminated with adequate nutrition with good quality food. Total number of beneficiaries – The minister estimates that by launching this scheme, it will be able to assist around 5900 young kids and 20,000 expecting women. Pilot project – For the time being, this project will be implemented by the state government on pilot basis. If it offers positive results in selected areas, then it will be implemented on a wider scale. Residents of the state and domicile certificate – Only those women and children will get free nutritious foods that are legal residents of Andhra Pradesh. They will have to support their claims by furnishing their domicile certificates. Pregnant women only – As per the scheme details, only expecting mothers will be able to receive the benefits of this new project. Thus, applicants need to submit their positive pregnancy reports to become beneficiaries. Age limit of children and age proof – It has been mentioned by the state government that only those kids will receive high quality nutritious food that fall within the age bracket of 0 and 5 years. Poor applicants – Instances of malnutrition and infant death are common in rural areas. Here, people don’t have financial strength to purchase high quality food. Under this project, women who fall below the poverty line will be able to receive the benefits. For that, applicants will have to attach BPL certificate with the enrollment form. The Andhra Pradesh government has just announced the scheme. Thus, it is too early to say anything about the registration process. Once the respective authority finalizes the enrollment process, it will declare the details officially. If the scheme is implemented successfully, then state government will be able to check child mortality. It will also ensure that the newborn babies are healthy. If the pregnant mothers are not healthy, then they will not be able to give birth to strong kids. Reducing child death is the first step that the governments must take to bring about overall development.